Hundreds and thousands of children and teenagers dream of becoming racing drivers and for alomost 50 years Ford have been giving young propects the opportunity to fulfill their dreams. The Formula Ford championship has been running since 1967 and is the ideal way for a young talent to take the step up from karting and into a much more powerful single seater racer. The championship is the only UK competition to allow 15 year olds to compete, and score points towards their FIA Superlicence, an essential requirement to get into Formula 1 and other high stage racing series. 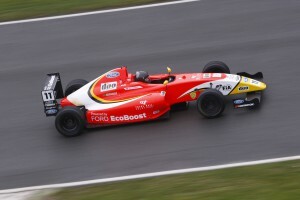 Brands Hatch hosted the very first Formula Ford race with cars featuring a 1600cc engine straight from Ford. All the cars were fitted with the same engine, so the engineers had the opportunity to design and construct a chassis to suit the power unit. The differing opinions of the engineers and talent of each driver led the racing can be extremely tight and unpredictable, a feature of the championship that remains now. The 1990’s saw the introduction of Ford’s Zetec engine, followed by the Duractec from 2006 to 2012 and now the 160bhp 1.6 DI Turbocharged EcoBoost unit taken straight from in the Fiesta ST. Each car now is fitted with a carbon-fibre monocoque chassis from Mygale, a specialist company based at Magny-Cours, France. 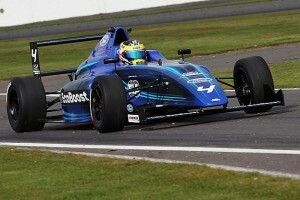 Ricky Collard driving for TRS Arden MSA Formula, current leader of this year’s championship. Prices are forever growing in motor racing and the majority of championships are completely out the question for most wannabe drivers. The MSA Formula can be seen as an affordable way of getting into a success racing career, both for a new team and driver. An FIA approved car can be bought with the 1.6 EcoBoost engine, paddle shift gearbox and data logging system for less than £40,000. Maintaining the car is also considerably more affordable than other race cars. Ricky Collard currently leads this years standings with 3 rounds of races to go.